Over one million animals will die on US roads today. Over one million animals will die on roads in Brazil today. Half a million rare and endangered animals, like the ones you visit in zoos, will die on the roads in Tasmania this year. Over a hundred animals, such as deer, panthers, tigers, armadillos, porcupines, squirrels, Tasmanian devils, raccoons, and eagles will be killed by cars in the US, India, and Brazil combined by the time you are done reading this article. The list goes on, and would be much worse if we considered the billions of small creatures, particularly flying insects, killed by cars every year. That is more wildlife deaths by roads and motor vehicles than by poachers, deforestation or pollution (Brazil, 2018). And now we are learning that there may be links between increasing roadkill numbers and the impacts of climate change. The results of carbon emissions include changing the timing and availability of both food and water – for humans (Quaempts, 2018) and for wildlife (see Sweden case study below). For both humans and wildlife, that change means traveling farther and wider in search of food and water, and for wildlife, it means risking death by crossing more roads, with more frequency. Since humans began using means other than foot to travel, there have been casualties due to collisions. My great uncle was killed by a horse and cart in Poland when he was a child. Many people and domestic animals (dogs, cats, chickens, goats) were struck and killed or maimed on narrow streets by passing horses and their drawn carts. Since the modern car became commonplace around the globe, starting in the 1920s, there has been roadkill. Today, with nearly 8 billion people on the planet driving 1.2 billion cars (Volker, J. 2014) and with the impacts of climate change on water and food availability approaching a nadir, cars and roads are becoming the single most dangerous threat facing wildlife (arguably, all life) today. People have taken many steps and spent millions of dollars to save lives of the humans driving and riding in cars, or who are otherwise potential victims of the automobile. We have crosswalks, crossing lights, pedestrian rights of way, seat belts, airbags, auto-braking technology, backup lights, back up beepers, and drivers education – which is a series of videos showing gruesome accidents, aimed at scaring new drivers into compliance with safety rules of the road. When animal-vehicle conflicts are mentioned, it is most often in the context of monetary cost: damages to your car, insurance claims, hospital bills. In New England, for example, its common to see a bright yellow sign with a moose outline and the words: “Brake for Moose: It could save your life”. But what about the moose? The spiritual toll for our fossil fuel addiction runs deep: nature deficit disorder is very real (Louv, 2005), and is the result of a fracture between our need to connect with nature, and our realities of living separate from it. Cars are the most obvious and the most personal manifestation of both our addiction to fossil fuels and our disconnect from the earth and its other inhabitants. By driving cars, we isolate ourselves from experiencing the place through which we travel. Instead of experiencing the time as distance travelled, smells and tactile experiences, and yes, even pain and exhaustion, we careen around in a controlled and tiny environment, listening to stories or music, missing out on the sounds and smells and experience of the place. At the same time as we isolate ourselves in cars from each other and from other animals, in the US alone, we are contributing up to 20% of the total global greenhouse gas emissions through driving (see figure: Union of Concerned Scientists 2017). Another toll taken is the psychological impact of killing something by mistake, and seeing dead animals splayed out, often gory, along the roads. Sure, there are those few deliberate killers who speed up in order to hit the target in the road; and oppositely, there are those few who get out and try to move a fellow creature out of the road (e.g. turtles). More of us, though, are just quietly diminished by the ongoing tragedy of roadkill. Anyone who has lost a person, dog or cat to a car collision remembers the trauma well. Those who have hit and killed anything with their car — and who among us has not?! — knows that life is never the same afterward. Roadkill is inconvenient, expensive and hazardous – and it also can deplete one’s spirit, and cause great and lasting emotional trauma. Conversely, taking action to report and reduce these needless and traumatic experiences can serve as a healing balm on many levels. I wanted to know which countries suffer the highest roadkill numbers and to learn what they are doing about reducing those numbers, and how well different remedies are working. I looked at the data about roadkill, including the sources of funding for studies where data were collected. Many roadkill studies are conducted by insurance companies because of the resulting insurance claims by the drivers of the damaged cars after collisions with large wildlife. I did not focus on those studies because their data are not comprehensive – and they generally do not document smaller animals such as birds, rodents, reptiles, and amphibians. I narrowed my investigation to countries with abundant roadkill data, where roadkill studies were done in service to preservation of biodiversity, and, with the exception of Sweden, to places where CO2 emissions are among the highest levels globally. Those levels varied from 1-16% of the global total emissions by country. These countries have abundant data from credible sources, and have a high potential to set examples that could effect a change in global behavior. United States – high biodiversity, and contributes 16% of the global CO2 emissions (see figure 1). Ignorance: Either during the road design process where wildlife needs were overlooked in the first place, or by drivers not paying close attention, or by the animals not being road savvy. External pressures: Habitat loss and degradation caused by human impacts can force animal migration patterns to change. Attraction to carrion of other wildlife: Many collisions are the result of the first roadkill becoming food for the next. Climate Change: While this can be considered a habitat constraint, I kept it separate because its an important but often overlooked habitat constraint. 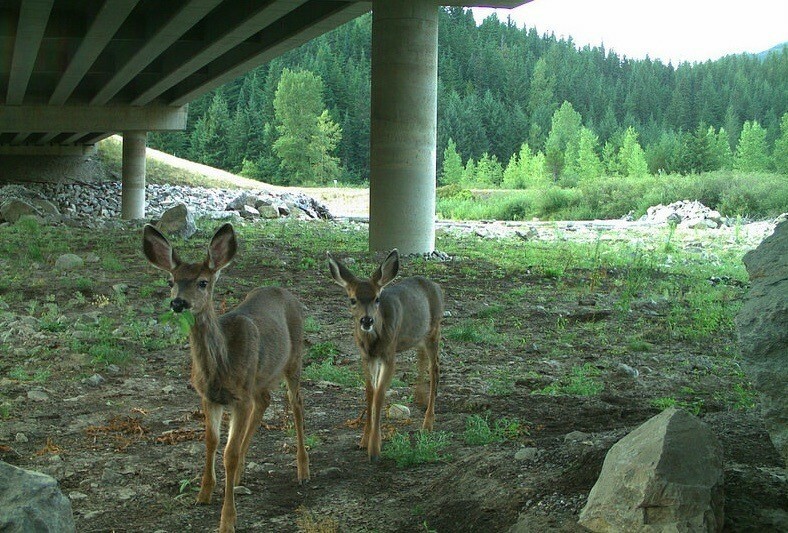 Because of climate change, animals are turning up in areas where they are not expected, and where road conditions are not conducive to wildlife crossing even in places where animal crossing mitigation measures are in place. A warmer climate is believed to be the main reason behind the increase [in road kill], with mild winters and dry spells in summer causing the animals to travel longer distances in search of water. The problem compounds when the animals who scavenge roadkill are killed by cars while trying to eat the carcasses. Sweden’s eagles are suffering the most as a result of the increased occurrences of roadkill. The increase in dead moose, deer and reindeer is creating a veritable buffet for carrion eaters, especially those opportunistic critters who prefer to not have to kill for themselves, like eagles. Last year (2017), “a total of 96 eagles were killed in traffic, as were 33 lynx, 12 bears, six wolves and two wolverines”. Eagles. Being killed by cars. That should say it all. Their solutions: Remove roadkill off the roads more quickly to reduce the secondary kills, and repair and lengthen fences where roadkill is most prevalent. Brazil is one of the most biologically diverse countries in the world. Recognizing that, its people, have taken on the task of understanding the impacts of roadkill and how to reduce them. Brazil estimates that upwards of 1 million animals are killed every day on their roads (CBEE 2015). In 2011, Brazilian ecologists launched an app for smartphones that tracks roadkill in real time and helps to inform conservationists and transportation officials about where the problems exist and for which species. India has been recovering its national animal, the Bengal Tiger, aggressively since 1972. Several large reserves have been dedicated to tiger conservation. Also, while much research has been conducted to track movements of tigers through their reserves, several other studies track the populations of other species’ (such as striped hyenas) population responses to tiger reserves. Roads and main highways intersect tiger reserves, and many are killed as a result of collisions with cars. Tigers are the focus of much research attention in India, but they are just one of many species of concern in India, a few others include hyenas, elephant (full grown animals are killed by trains, calves are killed by cars and trucks), leopards, Indian civet and deer. Most carnivore populations are confined to protected areas. These areas are the last available habitats for these wildlife but they are isolated patches of habitat in a sea of human settlements. Many of these reserves actually include human settlements within their boundaries as well, and are bisected by roads, some heavily travelled. As the wildlife populations recover and grow, more wildlife are leaving reserves, and, crossing roads. It’s like someone is building a road through your house – your living room is on one side and the kitchen is on the other and if the traffic is continuous, you will feel cutoff from supplies. This analogy by Sanjay Gubbi, a prominent conservationist in Karnataka, best explains what it is like for wildlife along the 27 km stretch of the Mysore-Mananthwadi Road, which passes through the southern part of the Nagarahole Tiger Reserve. Researchers at Wildlife Institute of India (WII) looked at travel patterns and roadkill in the Sariska Tiger Reserve in northwestern India. This reserve includes a large population of striped hyenas as well as tigers and other carnivores. The reserve is crossed by two heavily trafficked state highways (No. 13 and 29A). Highway 13 was reported to have around 2000 vehicles per day (including trucks, buses, mini-buses, cars, jeeps, tractors and two wheelers). Roadkill accidents were frequent until 2011, when traffic regulations (including temporary highway closure) were enacted. Since then,, those studying the impacts of tiger reintroduction on striped hyena populations have noted a significant reduction in tiger and hyena roadkill (Mandal, 2018; Shekhawat, 2013) — in some cases enough to successfully call for permanent sectional road closures. Following an Indian Supreme Court decision, traffic barriers have been established at Kushalgarh,Bharatri Tiraha, Thankyou Board, and Ghata-Bandrol. These barriers divert commercial traffic on State Highway 13 from Thankyou Board to the Kushalgarh to Ghata-Bandrol –Narayanpur–Talvriksh–Kushalgarh by-pass. During night-time, no traffic is allowed on the state highway from Kushalgarh to Thankyou Board (Shekhawat, 2013; pers. comm. Mandal). This has significantly decreased the number of tiger and hyena deaths. Of course, the road mortality problem is not solved, and requires constant management. With research on roadkill, road closures, and road remediation (such as overpasses and underpasses), there are roles for citizen science in data collection. In January of 2018, Wildlife Trust of India and the David Shepherd Wildlife Foundation launched a smartphone app for reporting wildlife sightings or roadkill. 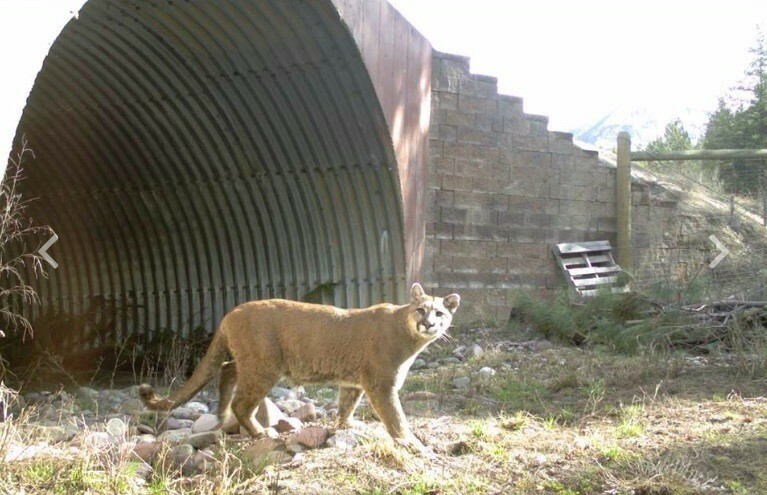 The report is geolocated and shared with wildlife managers to help inform the need for continued intervention – from putting up signs to closing major highways to all vehicles. The US has both one of the highest road infrastructure budgets (over $416 billion per year), and among the highest roadkill numbers in the world (reported at over 1 million animals per day). That is 1 million vertebrates run over every day in the U.S., a rate of one every 11.5 seconds (United States Department of Transportation and the Federal Highway Administration). The death toll among other animal groups, especially flying insects, is so huge as to be nearly incalculable. 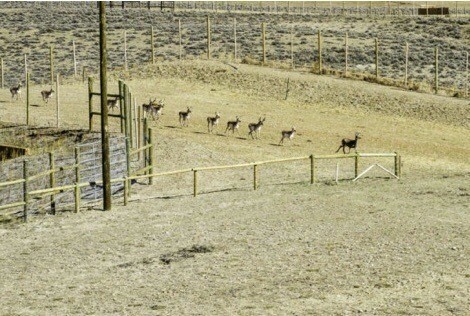 Utah: This was developed by a graduate student who enlisted the help of the state wildlife department. The app was developed for $34,000 – which is not a lot for a state to invest in tracking roadkill. This system is not currently open to citizens and currently only tracks large animals. A good overall source of information on road ecology and safe wildlife crossings is the Western Transportation Institute. Wildlife put their lives on the line to cross a road and move from one part of their habitat to another for the same reasons humans risk their lives when they become refugees: because THEY HAVE TO. They need food or water or breeding grounds. Across much of the terrestrial world today, wildlife habitats that were connected are now bisected by roads. Support organizations that address this problem – visit this site to see if your region is covered. If not, find an organization that will help elevate this issue, especially in areas of high biodiversity. If you see wildlife on the road, alive or dead, report it to someone who will help. Sometimes that is a state wildlife department, sometimes it’s a non-profit rescue center. Our need for transportation is not trivial, but it is among the top causes of death and destruction on the planet. This issue does not change until we demand that change of ourselves, and our governments. Follow up with the resources provided here. 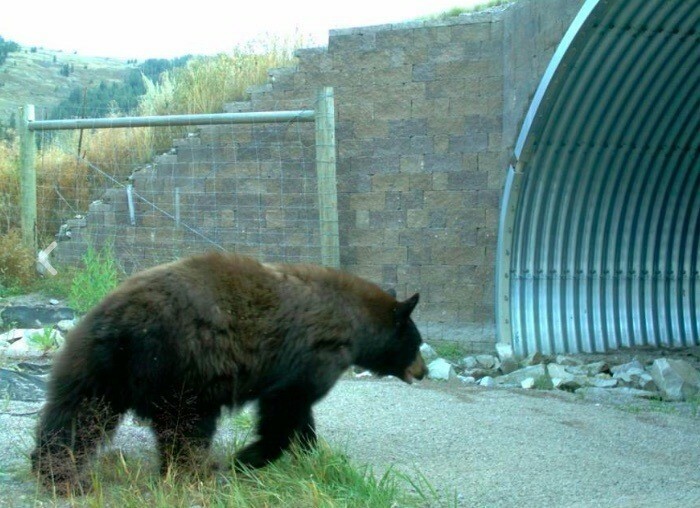 In most cases where wildlife crossings have been installed or roads closed, change occurred because someone was devastated by being witness to, roadkill. Don’t just drive by. Do something, and click here to learn how. ARC SOLUTIONS. ARC is an international network whose mission is to identify and promote leading-edge solutions to improve human safety, wildlife mobility and long-term landscape connectivity. 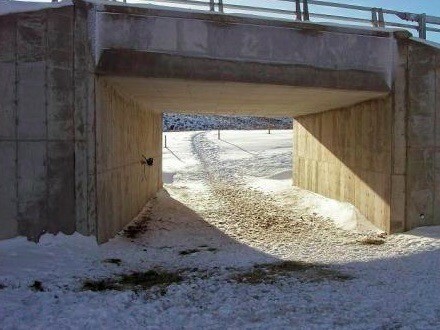 We do this by fostering innovation in the placement, design and construction of wildlife crossings. We know these are solutions that work, and we seek to share this knowledge to build support for safe passage. But we can’t do it alone. We need your help: Email info@arc-solutions.org to join us and become part of the solution! The Western Transportation Institute at Montana State University is the country’s largest research center focused on rural transport. Its Road Ecology Program is internationally recognized for providing solutions that reduce the impact of linear infrastructure on wildlife. The Center for Large Landscape Conservation leads local, national and international efforts to re-connect nature at the level it functions and that people and wildlife require. We spotlight, develop, and share new connectivity science, innovative policies, and collaborative planning tools with communities, professionals and decisions-makers who are working to restore and manage the large landscapes they call home. To learn more about our work, click here. Bilal Habib, Akanksha Saxena, Indranil Mondal, Asha Rajvanshi, V. B. Mathur and H.S. Negi (2015). “Proposed Mitigation Measures for Maintaining Habitat Contiguity and Reducing Wild Animal Mortality on NH 6 & 7 in the Central Indian Landscape.” Technical Report, Wildlife Institute of India, Dehradun and National Tiger Conservation Authority, Govt. of India, New Delhi, pp 100. TR 2015/006. Clevenger, A. (2005). “Conservation of wildlife crossings: Measures of performance and research directions.” Gaia, 14(2), 124-129. Louv, Richard. 2005. Last Child In The Woods: Saving Our Children From Nature-deficit Disorder. Chapel Hill, NC : Algonquin Books Of Chapel Hill. Mandal, D. K. (2018). “Ecology of striped hyena (Hyaena hyaena) in Sariska Tiger Reserve,” Rajasthan. Saurashtra University, Rajkot, Gujarat, India. Shekhawat, R.S. (2013). ‘Tiger Conservation Plan for Sariska Tiger Reserve, Rajasthan. “Forest Department, Government of Rajasthan. Simpson, N., Steward, K., Schroeder, C., Cox, M., Huebner, K., & Wasley, T. (2016). 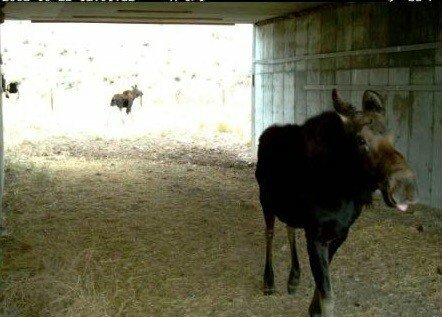 “Overpasses and underpasses: Effectiveness of crossing structures for migratory ungulates.” The Journal of Wildlife Management, 80(8), 1370-1378. Volker, John 2014 “1.2 Billion Vehicles On World’s Roads Now,” 2 Billion By 2035: Report. According to the Union of Concerned Scientists 2015 CO2 emissions data by country, (the most recent available) China, the US and India make up half of the world’s emissions of CO2 from fuel consumption, with Russia, and Japan on par with India’s percentages (figure 1). CO2 consumption is not a perfect indicator of the amount of car-car-wildlife collisions, but it is a good way to show the correlation. While China is responsible for the highest percentage of CO2 emissions by country, after 10 pages of clicking on Google hits about China and roadkill or wildlife auto collisions, all that comes up is that restaurant owner who was caught using roadkill deer in his restaurant. The US has several examples of ways to address conflict areas… Germany admits to 1 million animals per year. Tasmania is hailed as the roadkill capital of the world, but that is simply because they are looking at the number of roadkill by kilometer.